I love this door lock for holiday homes. August is doing something very interesting where they are targeting AirBnB hosts. Their smart lock gives your guests a "virtual key" via their smartphone for the duration of their stay. It also notifies you when guests lock or unlock and can sync with their Smart Camera. This is a game changer for AirBnB users and vacation homes where you may be letting in house guests when you are away. And of course, it is compatible with Apple Homekit. For window air conditioners there is only one make and model that I recommend - Friedrich Kuhl. My clients love it and so do I. If you love to entertain and want to hear your guests talk or just want to watch TV without the air conditioner competing with the volume, go with a Kuhl. They look sleek, they're nearly silent, and cool a room quickly. You can set 7 day schedules and group units for zone or centralized control using this FriedrichLink™ WiFi adapter. Kuhl is the quietest and best air conditioner I have seen. They even make color covers you can swap out if you are so inclined. Shade control has until now been an expensive feature requiring hard wiring and dedicated closets. We still do a lot of these in bigger projects. 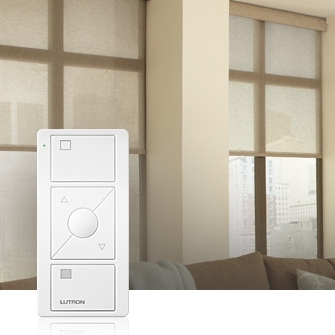 In homes and apartments where you don't want to go all out with a hard wired shade solution but want to retrofit or have a less expensive option, Lutron has created an Apple Homekit compatible product - Serena. This line of shades is remote controlled with the Pico or from anywhere on earth with the Lutron app and their Caseta bridge. Caseta is a very flexible 'bridge' because it works with most of the big names today in smart home technology - Amazon Alexa, Apple HomeKit, Carrier Cor, Ecobee, the Google Assistant, Nest, Honeywell, Logitech, Samsung SmartThings, and Sonos. Where Lutron shines is lighting and shade control. In fact, their Radio Ra system is what I use in most apartments. But while Lutron is compatible with all these systems, it does not mean it is going to play well with other devices and the granular controls you may want if setting up a comprehensive home automation kit. Skybell HD looks to be the best of the digital doorbell camera market. It has the biggest view range, high definition video, night vision, and a convenient app. Unlike some of its competitors it does not charge a monthly fee for online video storage. While the August doorbell camera might be attractive to the design fans of Braun, I still think Skybell is a better choice. Skybell is compatible with IFTTT, Nest, SmartThings, Kevo, and Echo. This is what I would put in my house. When I wanted a wall-hung TV and a hidden cable box, I got a Harmony Hub. It allows for less clutter and wires everywhere. The cable box, Playstation, and router stay hidden away. It has wi-fi and bluetooth, and you can connect it to other smart home hubs and devices. I started using Nest thermostats as soon as they came out. Then started using Nest Protect smoke/carbon monoxide detectors. 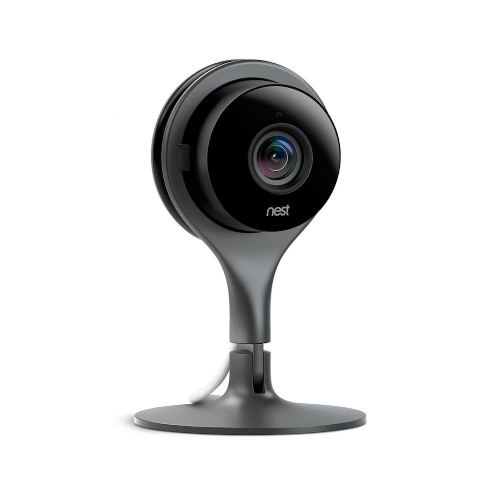 So the Nest Cam is a natural progression. Some of my contractors use this Nest Security Camera on the job site to let me see what's going on any time from my desk. What sets this apart from the usual security cameras is that you can talk to people through the speaker and mic on the camera. Tell your dog to get off the couch, tell the plumber to pull up his pants, the possibilities are endless. They also have an outdoor model that has the same features.